Our founders created the Ms. Foundation for Women in the 1970s in response to forces of oppression at a pivotal time in U.S. history for women and people of color. Now, we are living in unprecedented times. The United States is witnessing a period where the growth and consolidating power of conservative forces are rapidly dismantling hard-fought gains that have taken decades to achieve, and the backlash poses an extraordinary threat to gender equity. Our next steps towards the protection of women and girls require a new vision, fierce activism, creativity, and a heightened level of strategic tenacity. We are ready to rise to the challenge. 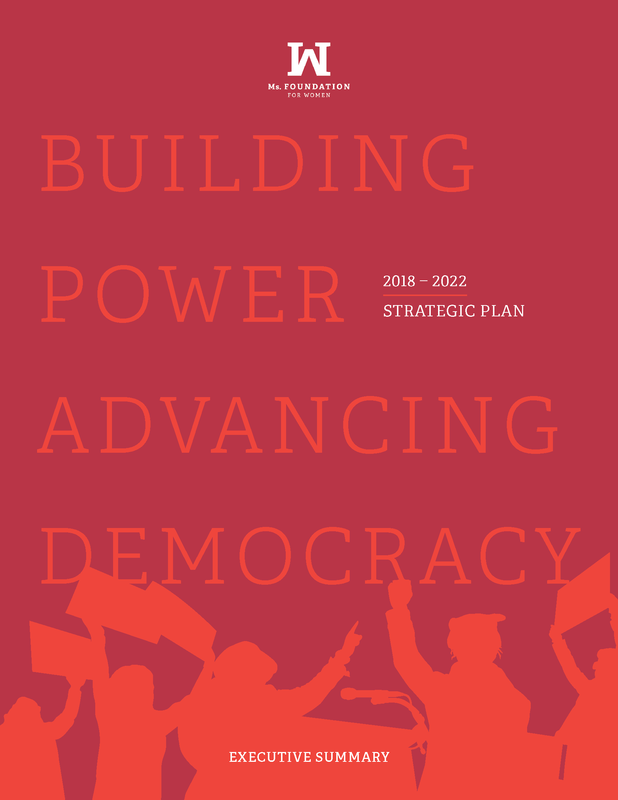 Through the implementation of our strategic plan and with your help, we will amplify our voice as a national leader in the fight for gender equity under the central theme of building power, advancing democracy! Our approach will be bold, unapologetic, innovative, and inclusive. Our Ms. Foundation for Women team will take concerted action to bring together those most impacted by our current society and their allies.